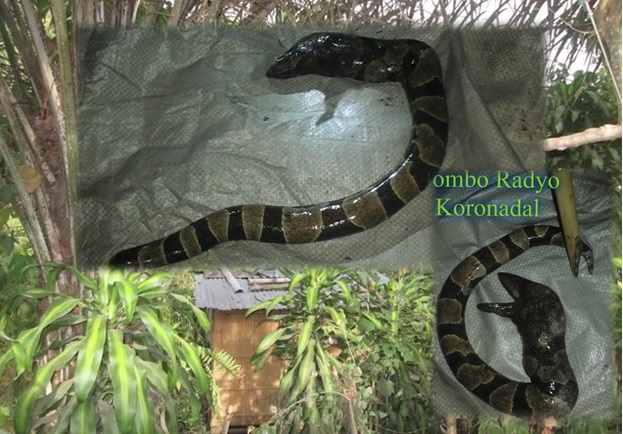 MANILA, Philippines - A report by Bombo Radyo Koronadal has revealed that a 37-year-old married woman from Koronadal City has apparently given birth to a 2-foot long snake on Tuesday, February 16. Based on Bombo Radyo Koronadal’s exclusive interview with the woman’s parents, the woman, whose name is withheld for privacy reasons, initially experienced symptoms of morning sickness such as vomiting, weight loss as well as loss of appetite due to unbearable stomach pain. The woman later confirmed that she was pregnant after undergoing pregnancy test and ultrasound scan in the hospital. However, doctors were unable to verify if the woman was indeed carrying a child since its shape was unusual and had a long body. Clueless with their daughter’s condition, the parents decided to bring the woman to several faith healers. However, out of 7 faith healers, only one claimed that he could remove what’s inside the woman’s womb. After undergoing almost a month of “treatment” with the faith healer, the woman reportedly gave birth to a creature similar to a snake in front of her parents, relatives and several witnesses. Allegedly, the snake’s teeth resembled that of piranha’s. Although the snake was still alive when the woman gave birth to it, it was the mother who killed it using a sharpened bamboo called a “bagakay”. The snake’s lifeless body was also burned by the woman. As of press time, the woman is recovering from the ordeal.